From our mutual friend, Teresa, I learned that Agnes Selby passed away within the last few days. She was a good friend of the Isler Family, and of others on this board. Agnes was a Jewish Holocaust survivor, born in Slovakia. She and her parents spent most of one year during the war hiding in a ditch, to avoid being captured and taken away to be killed in concentration camps, which is what happened to many of her relatives. Several years after the war Agnes and her parents were able to move to Australia, where she spent most of the rest of her life, except from 1979 till 1988. During that period she and her husband, Dr. Theo Selby, a cardiologist originally from Romania, and their children, Michael and Kathryn, lived in Philadelphia, so that Kathryn could study at the Curtis Institute, and with other major pianists here. Kathryn is now one of the most prominent pianists in Australia. Agnes is survived by her husband, children, and four grandchildren. Though she was particularly proud of her family Agnes was also a writer of note. She wrote magazine articles about her life during World War II, but her most important literary contribution is probably her biography of Mozart's wife, entitled "Constanze, Mozart's Beloved." It gives a very different impression of this woman, who was not the silly, immature person she is often described as, but a very intelligent and competent woman who was responsible for preserving much of his music. We had been in touch with Agnes until a few months ago, and will certainly miss her. Last edited by Donald Isler on Mon Jun 20, 2016 11:22 am, edited 2 times in total. Oh I am very sorry to learn of Agnes' passing. She was a lovely lady who always treated people with kindness and respect. This is very sad news. We will miss her. May she rest in peace. I remember Agnes mentioning on this board that she would like to write a biography of Alma Schindler one day. Perhaps she never had the chance to complete the project. I had enjoyed her posts, which were always interesting and informative. Terribly sad news If anyone is still in contact with Corlyss, she should know about this. Thank you, Donald. God bless Agnes and her family. This is sad news, indeed. Agnes was such an inspiration to me and always had something interesting to say. I relished the excerpts from her book and stories of Mozart she would post from time to time. I liked to write concert reviews and post them here. She always encouraged me to continue, which I have. Thanks for the bio Donald, some of that I knew but some I did not know. I'm very sorry to hear this. Like most of us on this board, I never had the chance to meet her in person, but I was enriched by knowing her "electronically" through her many posts here. So sad to hear this. Agnes was always kind generous with her posts. I bought her book which she offered on CMG and found it excellent reading. It's good that she left her mark on the world, in spite of such a horrific past. May God recieve her with open arms. Condolences to her many friends and family. I am flabbergasted at this! While I have not heard from Agnes in a long time, we had many personal communications together, and like others here, found her to be a charming, warm and well-informed person regarding music and the arts. I had no idea she was ill. I found this notice about her funeral, but have not discovered any official notices as yet. She last posted on CMG on Saturday, February 20, 2016 at 4:48 pm. She contributed to CMG with 5,568 posts in all. I will miss her. Donald, thank you for informing us of this sad news. Sad news indeed. I knew Agnes only through this board, but I have heard her accomplished daughter many times. I have not been to CMG in quite some time--just too many other things going on, I suppose. Some of you know me. I was one of Agnes's best friends here on CMG, and I thought of her as my "Aussie Mum". She and I began an email correspondence on a regular basis that lasted more than 15 years. I felt I knew her, Theo, Kathy, Mike and the grandkids as though they were my own family. I finally got to meet her in person when my husband and I went to Australia last September. She, Theo and the whole family were so gracious and welcoming, we were truly overcome. Agnes had been having health problems for awhile, and was not able to shake it off with her usual feisty energy. A cardiac event finally got the best of her. I will always be grateful that I was able to visit before she became ill, and I will miss her terribly. She had a second edition of "Constanze, Mozart's Beloved" published a couple of years ago. She was a fascinating and incredibly knowledgeable woman. Rest in peace, dear Agnes. Awww, what sad news! My sincerest condolences to her family, friends, and colleagues. Rest in peace, Agnes. It was always nice to read your posts. I have looked, in vain, to find some kind of obituary notice for Agnes Selby, who will be missed on CMG. I happened to run into a review of the second printing of her book. It was not a very "kind" review, and I shan't even post the URL. Anybody know any more about Agnes? 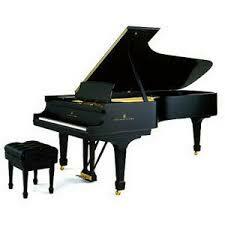 I also need to be in touch with her daughter, a wonderful pianist living in Australia. This is very sad news, Agnes was very special. I heard from Kathy Selby, Agnes' celebrated pianist daughter. This was a huge loss to her and the family. Apparently the last few months of Agnes's life was very difficult. Our hearts go out to the family.